Hi Friends, Just wanted to share with you our Alaska Cruise. Yes, it was everything we thought it would be and more. Our trip started with a delightful visit with our Son, Grandson and Daughter-in-Law, who just happen to live near Seattle, our taking off point. Of all the ports, Skagway was our favorite. We stepped back into time aboard the historic White Pass & Yukon Route Railway. The beauty of it took our breath away. Joe and I enjoyed a bit of an adventure breathing clean mountain air on a wilderness trek to the Laughton Glacier through an old growth rain forest. Giddy with excitement the first day aboard the ship, we took pictures of everything. Our room was a lovely balcony room on the 9th deck. Nothing could prepare us for the majestic beauty of Tracy Arm Fjord. And, yes, the ice chunks really are that blue! We were treated like royalty aboard the Celebrity Infinity. The last night aboard ship we expressed appreciation to our waiters, Freddie & Parwouta and then they presented us with flaming Baked Alaska. Each evening after a fine dinner a "pillow gift" from Stampin' Up! awaited us. My personal favorite was this softer than soft blanket. Ketchikan's Creek Street has a colorful past and is still beautiful today. It was once known as the "Red Light District". When I started with Stampin' Up! 5-1/2 years ago I never dreamed that taking such an amazing trip was on our horizon. I just wanted to receive the discount on my stamping supplies and earn little extra spending money. Imagine waking up each day with a smile on your face and a spring in your walk, because you are actually enjoy your work. Imagine working from your home and setting your own hours. Imagine earning free stamping products and dream vacations doing what you love, (stamping and paper crafting). Imagine working with other ladies that are as passionate about paper crafting as you are. Imagine paying off that bill that's nagging you. That's just some of the benefits you can enjoy as a Stampin' Up! demonstrator and a member of The Ink-spirations. June's Retirement list marks the end of our business year which makes it a perfect time to join the Stampin' Up! Team. All demonstrators who sign up in June will receive four 2010-2011 Idea Books & Catalogs and eight 2011-2012 Idea Books & Catalogs. 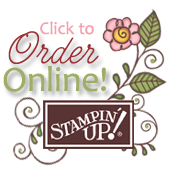 Your first official Stampin' Up! quarter would begin with July, the beginning of a new Stampin' Up! year and just in time for the launching of the new Catalog. Starting in June gives you time to plot and plan for July. And....An all new Wow Stampin' Start Program also launches in July! Have You Thought about what it would be like to turn your hobby into a business? Let's get together to chat either by phone or in person. Great pictures, Thanks for sharing!! Glad you had an awesome time. It was awesome, Diana. Wish you could have been there too.